One of the most traditional roles or trades in the construction industry is carpentry. 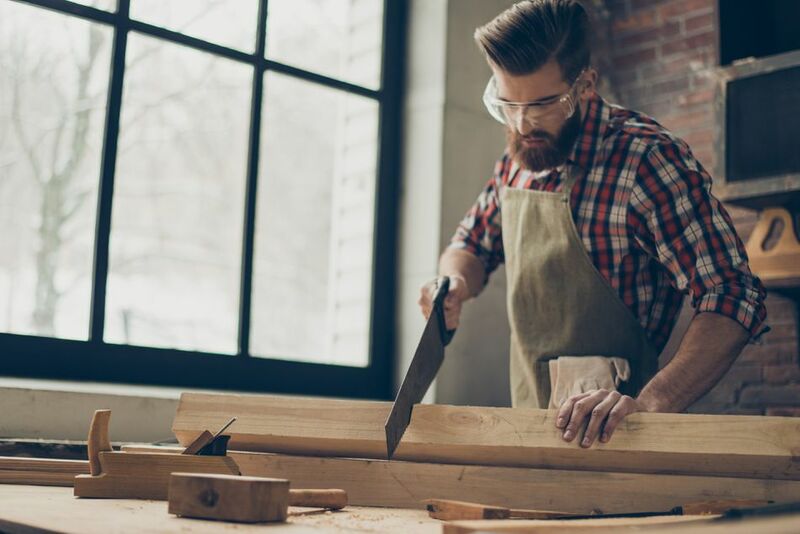 Carpenters or woodworking contractors are needed for almost every construction project, so if you are wondering what tools are required to carry out your work, we have the list. This list not only shows you the tools that you need but also provides a brief description of these tools that carpenters use daily. As with every trade, carpenters might require many tools to perform their work but this list summarizes the most important ones or the most used tools in a construction project. The irreplaceable always reliable tool that offers many variations but all serve a common purpose. The hand saw is the one preferred by traditional carpenters as they can control the cut while producing a great finish. Because this tool has many variations, the hand saw is always a useful tool to have with you. There is traditional saw, hacksaw, coping saw, and rip saw among others. Hand saws are not a replacement for power saws, but being the most simplistic one, it is helpful, not optional, to have. If you can, having a power saw is a great idea, and a cordless one is even better. Now even available in your smartphone, spirit levels are critical to obtaining the perfect leveled surface or product. Some carpenters prefer having longer levels but it all depends on the application and the type of woodworking job. If you are working with studs, we would encourage you to use longer levels for a neater product. A short level might mislead you if you are not familiar with the tolerances and deviations when using short level. Always handy and useful, all carpenters use a tape measure even for the smallest work. This is crucial for having the right dimensions for your work. Among the tape measures, make sure to use the most adequate one with the right precision on it. There are multiple options, including electronic types, that can help you measure your wood pieces. Be sure to have one with the option of meters and feet because sometimes both systems are used in the plans and on the job. Another vital and important tool for carpenters is the claw hammer. We recommend a hammer 20 oz with steel handles as it will allow for the right driving force and great grip while using it. When using steel handle hammers, make sure they have rubberized grip for better control and improved grip performance. Wood handles are OK if you are driving a lot of nails but will make your hand sweaty unless you are wearing safety gloves. The sledgehammer is another type of "hammer" that can fit into this category. Remember to use a sledgehammer powerful enough yet lightweight to complete your work to avoid being too tired from the weight of it. A good chisel made of alloyed steel is needed to complete clean cuts. Chisels are available in different sizes starting at 1/4 inch to 2 inches long. Chisels are used by carpenters and woodworkers for chipping out wood for door hinges and other fine woodworking jobs. There are also corner chisels that act like a hole punch, removing a section of wood with one hammer blow. Remember to keep the edges sharp and oiled so the chisel can last longer. Wood handles are recommended, capped with metal, so they can withstand the constant hammering and can last longer. Chisels are great for positioning prying deck boards before attaching them to the framing structure. A saw horse or workbench is a very practical and convenient tool. A saw horse is a carpenter's best friend, helping you resting the piece of wood while you can work or cut other areas of it. Light weight and portable saw horses are used very frequently in carpentry during framing or door installation, allowing you to make precise cuts even when you are working all alone. The most sophisticated models are equipped with clamps and adjustable surfaces so you can move it around and fit almost any type of wood. If you are woodworking, you will definitely need a nail gun. A nail gun allows you to pop nails faster and very efficiently. Although this list mostly contains items that are not electric or battery powered, the gun is one of the best tools that will save time and money during the carpentry process. There are multiple models with different power, so make sure to choose the one that fits you best. Clamps are very useful in the carpentry industry. They are used to secure and grip pieces of wood and lumber so your hands can be free to saw, cut, or perform other woodworking tasks more efficiently. They are available in many sizes, designs, models, and styles so you can attach them to the different working surfaces. Clamps, especially quick clamps, are very useful when making 45- and 90-degree cuts. A carpenter always needs a pencil to mark where the next cut will be. There are mechanical carpenter's pencil that will never need to be sharpened again. This type of pencil looks like a utility knife to make a sharp clear line. It is somewhat expensive but you will love it and it will be easier to carry and use. Pencils or in some instances chalk lines are always useful, cheap, and will help you when ​laying out framing or making cuts. A carpenter's square is still one of those tools that no matter how advanced our technology is, we will still need the square to make some cuts. The preferred size one is the 6-inch model, easy to carry and use. It is great when used with a table saw and can even help with some angles as well. When buying one, make sure to choose a metal one as plastic can lose its shape and might affect your measurements. Do You Need More Power? The list could go on and on because all carpenters will need a set of circular saws, grinders, drills, block plane, nail punch set, trimming or utility knife, and so on. It is always important to have the right tool at the right moment.